[INTERVIEW] Peter Tassiopoulos, President Of Sphere 3D Inc. Nature or nurture? It’s an age-old debate, and as relevant to academic whiz kids as it is to the most seriously successful entrepreneurs. And while Peter Tassiopoulos may not have a side to take on the academic front, when it comes to business, there’s no issue. “Both,” is his informed take. And he has the experience to make that call. Toronto’s Peter Tassiopoulos has spent pretty much his entire career both advising startup businesses on management, strategy and funding and also applying his knowledge, expertise and vision to lead businesses on the path to becoming innovative powerhouses. In short, he’s an entrepreneur himself who has worked closely with others of all stripes. “There’s something inherent to many entrepreneurs that helps them succeed,” Tassiopoulos says. “Part of it is a curious and inventive mind. Part of it is a comfort with risk-taking – if not an active courting of it. Peter Tassiopoulos has focused on finance, technology and startups since 1992. He currently is vice chairman and president of Sphere 3D Inc., a Toronto tech company that, among other advances, makes it possible for incompatible devices and applications to run over the cloud without sacrificing performance or security and independent of operating systems or hardware. Tassiopoulos’ success in leading Sphere 3D on its growth path was signaled early: By the end of 2013, the company was ranked as one of the TSX Ventures’ top performers. A year later, Sphere 3D engineered a $70 million acquisition of Overland-Tandberg, which propelled the company’s growth even further. 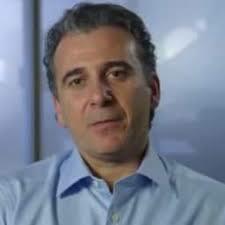 Tassiopoulos has also directed the growth of businesses in the healthcare IT space. As CEO and a founder of Igeacare Systems, which manufacturers a family of nurse call and software solutions, under his tenure, the company grew from four to 120 employees and reached sales of over $20 million. Tassiopoulos’ orientation toward technology – whether in healthcare or the general business space – has served him well, he says. He’s always had an interest in entrepreneurial ventures. But technology’s role in changing every business game has made now an especially exciting time for young entrepreneurs to make their mark, he believes. Peter Tassiopoulos recently chatted with Young Upstarts. Back to the nature or nurture question as it relates to entrepreneurship, especially in younger generations. Do you think it really matters? Peter Tassiopoulos: Well, it’s important when you think about future careers and what it takes to foster an environment that encourages innovation breakthroughs. Startup businesses are important to a vibrant economy, too, so we need to understand and encourage what it takes to motivate young minds to be both curious and brave in order to make it happen. What do you think is the best pathway for this? Peter Tassiopoulos: Well, on the nature/nurture front, if young people show a natural curiosity for the world around them, they should be encouraged in that. Academics who have studied entrepreneurialism say the way parents communicate with and reward their children is important. Let them question. Let them think for themselves. Inflexibility, on the other hand, discourages a curious mind and encourages conformity. Peter Tassiopoulos: Sure. In doing it. You want to be in business for yourself, but where to start? Maybe you have your best ideas in the shower, but those may be so insubstantial that ultimately they just go down the drain. So look at what you know or do now and figure out gaps or ways that you could improve and how. Or, go about it more methodically: Figure out your goals, take the time to figure out consumer groups, your interests and theirs, current business models and brainstorm how to piggyback off them. You’ve also been on the money side. How should entrepreneurs think about that? Peter Tassiopoulos: The reality is that some 40 percent of businesses start off with only a $5,000 investment. Smart entrepreneurs won’t undercapitalize, but they will carefully put into it what’s necessary to bring about the desired results, and carefully track what’s working.